President Michael H. Schill is again seeking nominations for the University of Oregon honorary degree recipients. The UO renewed its process of granting honorary degrees in 2017 after more than a decade in hiatus. Anyone can make a nomination and they are accepted at any time. A university committee reviews nominations and makes up to two recommendations per academic year to the president and UO Board of Trustees. 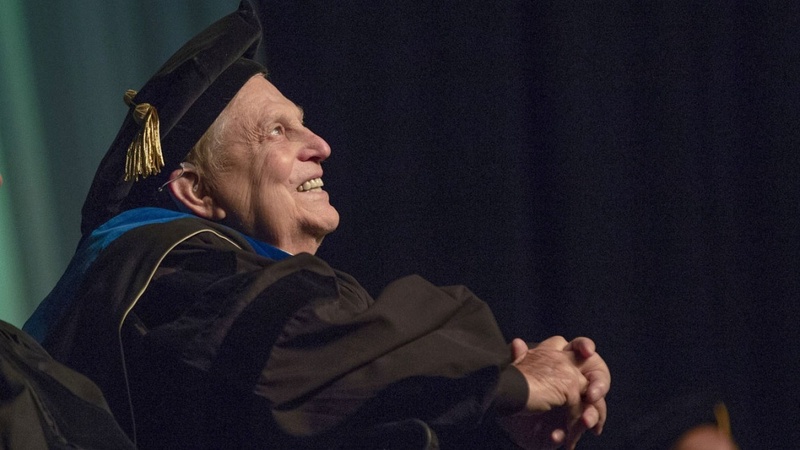 Philanthropist and businessman Lorry Lokey received an honorary degree at the 2018 commencement ceremony. The UO Board of Trustees has also approved honorary degrees for UO alumnus, philanthropist and Nike co-founder Philip Knight and renowned influential artist Carrie Mae Weems. Additional information about the criteria, process and nomination forms are available on the honorary degree website.